Established by virtue of Army Circular No. 60 on July 3, 1947, the Philippine Legion of Honor is the oldest of the three Senior Honors of the Republic. It is the Order of Defense Merit of the Philippines. Its highest rank, that of Chief Commander, is the highest honor that the President of the Philippines may grant an individual without the concurrence of Congress. The Philippine Legion of Honor is awarded by the President of the Philippines. It may also be awarded by the Secretary of National Defense on behalf of the President. Originally, the Philippine Legion of Honor had four ranks, called degrees, with Legionnaire as the lowest and Chief Commander as the highest and most prestigious. However, on September 19, 2003, the ranks of the Philippine Legion of Honor were expanded to six. This only applies to civilian awards, as the Armed Forces retains only four ranks, called degrees, for the Philippine Legion of Honor. Recipients conferred the Philippine Legion of Honor may be reawarded the same rank or degree. In such cases, following military practice, a bronze Anahaw leaf is conferred each time the award is reconferred, in lieu of an actual medal. Recipients of the Philippine Legion of Honor may be Filipino citizens or foreigners. It is awarded for meritorious service in military or defense affairs or for contributions to the preservation of the honor of the Republic of the Philippines. It is conferred upon civilians for military or defense service or for life achievement in public service. In the military it is conferred upon personnel who have performed exceptionally in the conduct of their duties. Grand Commander Civilian: For singular acts of service with a tangible impact on the Philippine military sphere; or upon a Crown Prince, Vice President, Senate President, Speaker of the House, Chief Justice or the equivalent, foreign minister or other official of cabinet rank; or upon an Ambassador, Undersecretary, Assistant Secretary, or other person of a rank similar or equivalent to the foregoing. Grand Officer Civilian: For acts of exemplary merit benefiting the Republic of the Philippines; or upon a Charge d’affaires, e.p., Minister, Minister Counselor, Consul General heading a consular post, Executive Director, or other person of a rank similar or equivalent to the foregoing. 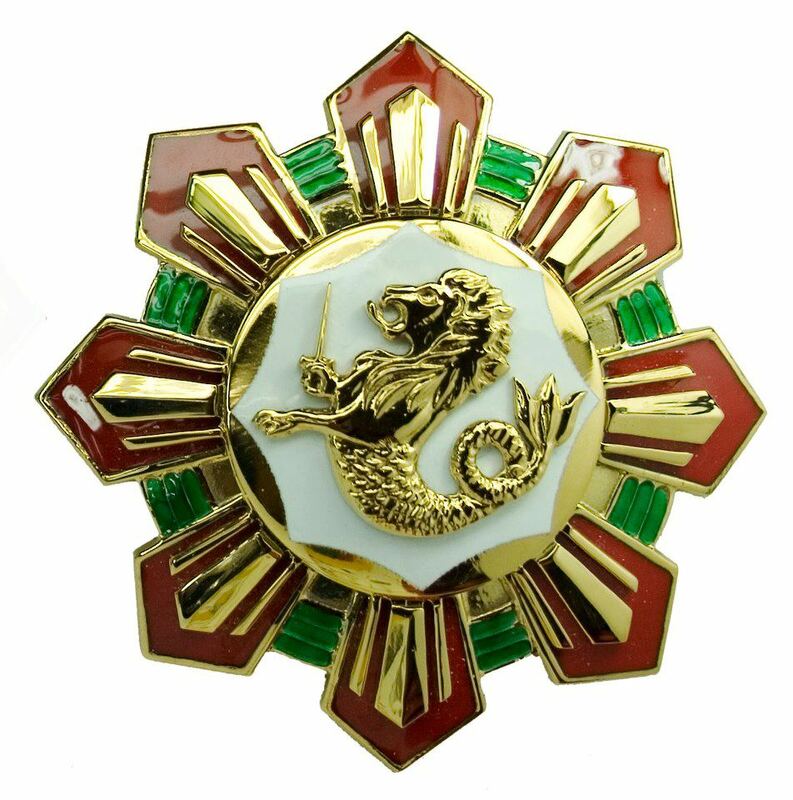 Officer Civilian: For acts of commendable merit benefiting the Republic of the Philippines; or upon a Second Secretary, Consul, Assistant Director, or other person of a rank similar or equivalent to the foregoing.Military: Military Personnel not qualifying for a Distinguished Service Star.